We understand the importance of having good support when you need it most. 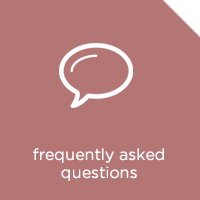 This is why we've established the saxon 72-Hour Connection promise to help address any concerns you may have in relation to your saxon product. To reach us, simply go to our Contact Us page for further details. 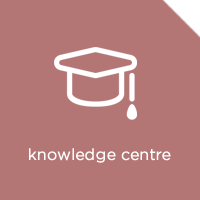 If you're looking for other sources of information, please click on the corresponding tab to find out more. Where can I find the manual for my saxon product? 1. Locate your product on our website. You can do this by browsing the product list, or through the search function. 2. Once you are on the product page, click on "Request For A Product Manual". 3. You will need to login under Registered Users. If you are a new user, you will need to create an account. 4. Once you have logged in or created an account, you will be redirected to the product page. 5. Click on “Download the manual” under the Details tab and a PDF file will open in a new window. My saxon product requires repairs. For all saxon product repair enquiries, please use the enquiry form on our “Contact Us” page. 2. The issues you are facing with your saxon product. For repairs under warranty, we will need to confirm proof of purchase (e.g., receipt). Any shipping costs incurred for repairs under warranty is payable by you. For all other repairs (including those outside of warranty), all labour, parts and shipping costs incurred is payable by you. My saxon product is missing some parts, where can I find replacements? For all enquiries on parts, please use the enquiry form on our “Contact Us” page. 2. The part(s) you require. We will provide you with a quotation of the cost of parts as well as shipping costs when we receive your request. What is 'Objective Lenses' of Binoculars? The main (objective) lenses of a binocular serve to collect light, thereby enabling the high resolution observation of distant objects. In a quality binocular each objective lens typically is manufactured of two separate glass elements, the so-call crown and flint elements. The refractive specifications of these elements permit the objective lens to image objects free of false colours. Does higher magnification directly relate to having a better scope? Not really. You only require high magnification when viewing certain subectives. Often, the penalty for increased magnification is reduced field of view and brightness. In the case of astronomy, faint objects grow fainter as the magnification is increased. This is why larger aperture telescopes are so effective on faint objects; they provide enough light to stimulate the eye at high magnifications. In sports, for example, a 5x to 7x magnification binoculars is sufficient power to help you get closer to the action, without compromise on field of view. Do anti-reflection coatings improve light transmission? Yes. Conventional thought seems to be that all the light not reflected is transmited through to the next medium. This is critial to the performance of high-element wide angle designs with many refractive surfaces. Coatings prevent reflection and scattering of light- which minimizes light loss and offers better image contrast. An uncoated glass surface can lose up to 5% of light transmission due to reflection and scattering. A single layer of anti-reflection coating can reduce loss to about 1.5%. Multiple layers of different anti-reflection coatings can further reduce loss to as low as 0.25%. Multi-coating therefore, provides a higher level of light transmission and image contrast. What is light gathering power? Objective lens size is the factor that determines how much light can potentially be collected by the binocular, and thus how deep you can see in the sky itself. Note that how much light actually gets to the observers eye is dependent on several factors, such as prism, size, baffling, and coating quality. In general, though, given similar coatings, you can use aperture to compare how much light will be gathered by two different binoculars. Because a binoculars' lenses are circular in shape, the area of the lens is inversely proportional to the lens diameter. In other words, a 100mm objective will gather four times as much light as a 50mm objective, even though it is only twice as far across. What's the difference between BAK4 and BK-7 prisms? BAK4 prisms (barium crown glass) are the highest quality available. BK-7 prisms (borosilicate glass) are also good quality, but sharpness falls off slightly at the edge of the field compared to BAK4. What do the magnification of Binoculars mean? Magnification, or power, is perhaps the most misunderstood term in binocular optics. While higher powers can be useful, power by itself does not increase the level of observable detail; image resolution is a function of objective lens diameter and type of prism, not of binoculars power. Higher powers result in images that are less bright and in a binoculars that is more difficult to hold steady in user hands. Power of 7x to 16x are by far the most popular among regular binocular users. Binoculars with magnification above 20x are generally not recommended for use without tripod. What are 'Prisms' of Binoculars? Since the objective lenses form images that are both upside-down and reversed left-for-right, prisms are required to invent the primary image. Most commonly, binoculars utilize either Porro prisms or roof prisms for this purpose. Porro prisms give binoculars their familiar zig-zag profile, while roof prisms permit a straight-line design. Either type of prism could be designed BK-7 or BAK-4. Both are economical and highly effective designs. The finer glass in the BAK-4 design is of high density and virtually eliminates internal light scattering, producing sharp and defined images. What is the difference between multi-coated and fully multi-coated optics? 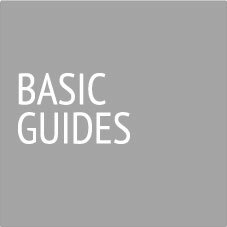 Most quality binoculars have multi-coated objectives and oculars, but it's also important that all internal air-to-glass surfaces are coated (fully coated) or multi-coated (fully multi-coated) as well. 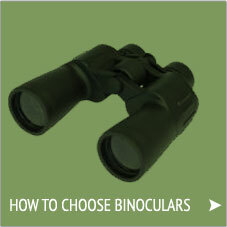 Only the highest quality binoculars are multi-coated on all glass-to-air surfaces (fully multi-coated). This costs more, but allows the highest level of light transmission. Coatings are one of the most important factors in determining image brightness. Many budget binoculars have several uncoated surfaces – this is unacceptable, since each uncoated glass surface reflects about 4-5% of incoming light.The best binoculars utilize multi-coatings on every air-to-glass surface (including the long faces of the prisms) and are called 'Fully Multi-Coated' or 'FMC' binoculars. This type of optical coating can transmit 85-90% of the light entering the binocular – which translates to significantly more light reaching your eye than with the lesser coating methods. What is an 'Exit Pupil Diameter'? This is the diameter of the shaft of light coming from the binocular to your eye. It's easy to estimate this based on the objective size and the power. Exit pupil diameter roughly equals objective size divided by power. So for our 15x60mm binocular, the exit pupil diameter would be about 4mm. A larger exit pupil diameter is generally more desirable- especially for astronomical usage, since our eyes will dilate in darkness. The wider the shaft of light, the brighter the image because the light is hitting more of our retina. The reason a high-power binocular has a darker image is because a narrower shaft of light is reaching a smaller amount of retina. Note: Our specifications for Exit Pupil Diameter are from our actual measurements- not the factory published numbers. What is the 'Near Focus' for? Near focus indicates how close (in feet or metres) you can be to an object and still maintain a sharp focus. For birding or nature studies, a near focus of 3.5m or less is recommended. What is the 'Kidney Bean Effect'? In some long or wide angle eyepieces, it is sometimes necessary to move the eye closer to the eyepiece in order to see the edge of the field. Sometimes, when this occurs, parts of the field between the centre and the edge are cut off, as part of the quickly converging beam misses the eye's pupil. This appears to the observer as a giant kidney bean shaped dark region that meandors around the field as head moves. Which works better? 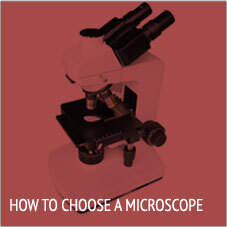 An eyepiece or a Barlow+eyepiece giving the same magnification? The only time the eyepiece alone may perform as well, is on-axis, in a high-contrast application, as the extra optics of the barlow may cause a slight depreciation. Optically, for all other sues, the eyepice+barlow outperforms the eyepiece working alone. The reason? Most of the aberrations caused by positive spherical lenses (Coma, Astigmatism, Curvature of Field and Spherical Aberration) can be reduced and sometimes almost eliminated by introducing a negative system (barlow) which has the same aberrations in negative quantities! Spherical aberration of the system is reduced as the positive spherical aberration of the eyepiece is cancelled by the negative spherical aberration of the barlow. The other aberrations cancel in a similar way! How important it is to get a parfocal series of eyepiece? Parfocal eyepiece sets reduce the amount of refocusing when changing powers, but it is rare when no refocusing is required. Parfocallizing of eyepiece sets is a non-performance factor when choosing oculars. When I'm observing a bright object like a planet, I see an opposing ghost image. What causes that? The ghost image, and it's evil twin, the out-of-focus ghost is caused by internal reflections inside the eyepiece. The only way to eliminate these is to eliminate air-spaces in the eyepieces, as the ghost is caused by a double bounce between two lenses in close proximity. While the ghost is an annoyance, the out of focus ghost is more of an enemy, as it reduces overall contrast of the image, which determines how much detail you'll be able to see. The treatment, if not eh cure, is di-electric multicoating of the lens-facing surfaces inside the eyepiece. How many eyepieces should I have? 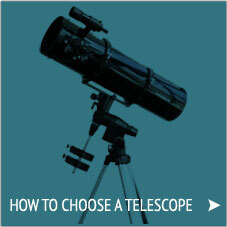 Eyepieces are the most critical factor concerning the performance of your telescope, excepting a dark sky. Eyepieces create the image your eye will see, and the right ones will give you the experience that makes amateur astronomy so rewarding. Even the best instrument will never perform to it's potential visually with poor oculars. Since most manufacturers sell their telescopes with inexpensive ones, and since most people selling a telescope keep their good eyepieces, the aftermarket is your best source. Borrow as many as you can and try them out; for every object there will be an eyepiece that works best with your particular telescope. You'll probably be satisfied with 5-8 good eyepieces; and you'll use your telescope much more often with good ones. I want to take photographs through my telescope. What do I need? Most telescopes can be adapted to act as lenses for single lens reflex (SLR) cameras. For the basic technique of 'prime focus' photography, all you generally need are a camera body, a T-ring specifically made for your camera body (allows it to connect to a T-thread) and in some cases a combination T-adapter designed for your telescope (supplies the T-thread). This configuration, is fine for terrestrial use, or for the Moon or the correctly filtered Sun, but for fainter astronomical objects you will need to do time exposures using an equatorial mount with a Right Ascension motor to correct for the Earth's rotation. For exposures longer than a few seconds, you should use dual axis motor drives and a hand controller to guide the telescope. I'm trying to collimate my reflector but all I see at the back of my telescope is 3 Phillip's-head screws. Where are the 2 sets of screws?Your optical tube is probably covered with a metal back plate. The 3 Phillip's-head screws are there to hold the metal plate in place. Loosen them and remove the metal plate. You should be able to see the back of the primary mirror and 2 sets of screws around it. We warrant that your saxon product is free of defects in materials and workmanship. 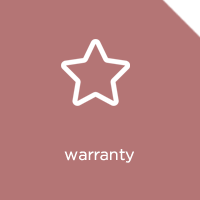 To find out more about the warranty on your saxon product, please head to the Warranty Information page. COMING SOON! - OUR OPTICS EXPERTS ARE IN THE BACKGROUND PUTTING TOGETHER A COMPREHENSIVE TELESCOPE, BINOCULARS AND MICROSCOPE GUIDE.